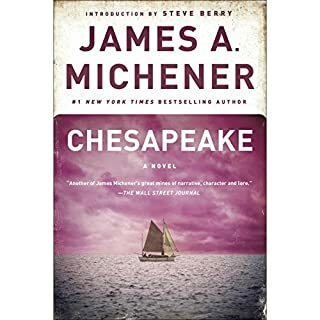 The central scene of Michener's historical novel is that section of Maryland's Eastern shore, hardly more than 10 miles square. To this point come the founders of families that will dominate the story. I disagree with a review that said the narrator was no good, he was very good! Maybe he didn't do voices like some very skilled readers can, but that did not detract from the book in any way. So I've now listened to around 100 hours of him speaking (? 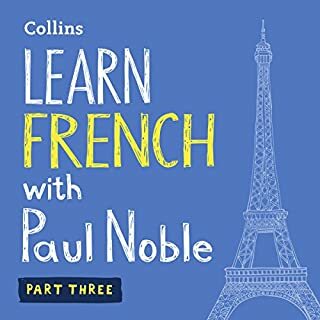 - 2 books!!) and I'm queuing up my next Michener book. James Michener, masterful blend of history and fiction, I read many of his book 25-30 years ago as a teenager. 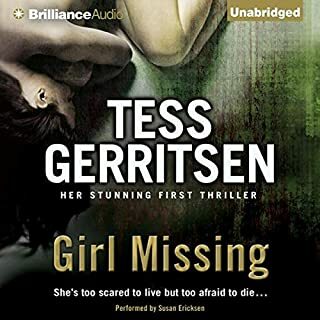 Now I am enjoying them a second time in Audiobook version. Thank you James Michener, Audible, and Larry McKeever. 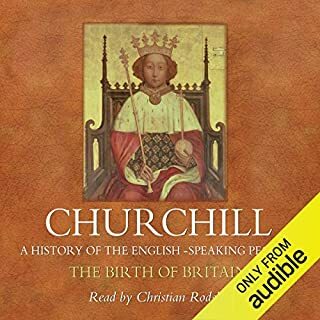 I found this running history by Sir Winston Churchill fascinating, and the stories in it intriguing. My problem is that I don't have a strong enough historical framework to hang the stories on. Nevertheless I enjoyed learning the true stories behind the Vikings, Saxons, Picts, William Wallace and the origin of the word 'Brave heart'. Also the Black Plague, Joan of Arc and the wars of the French and the Roses. 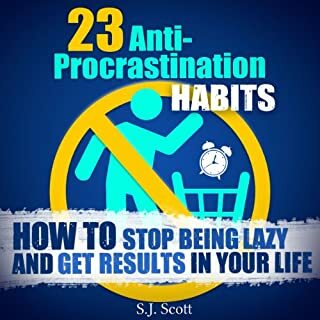 I will be getting the next book. Well done! Believable real characters! The storytelling flowed naturally, with believable movement through various scenes and circles. The challenge of a new and unknown drug hitting the streets is deadly real. While many book are good, some are great, and some you have start again immediately with a pen in hand. Excuse me, I'm about to start it again right now. 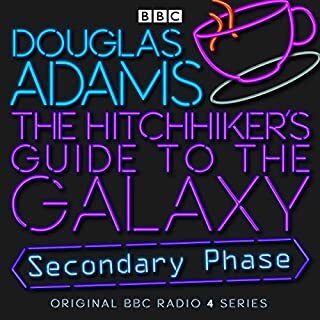 I have enjoyed the Hitchhikers Guide to the galaxy for years, and now I've introduced my 21 year old son to it. We enjoyed it together! 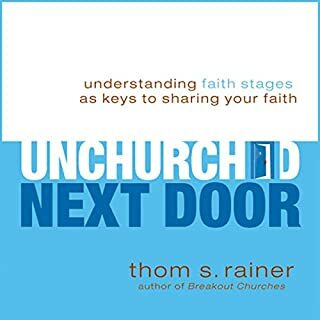 This Silver Medallion Book award-winning national interview survey of unchurched people sheds insight on who the unchurched next door are, what objections they raise, and how to connect with them, taking into account their various faith stages, based on the Rainer scale with rankings from U5 to U1. Needs to be preached in every church in the world! What made the experience of listening to The Unchurched Next Door the most enjoyable? The many stories and responses of the responders was fascinating, and the revelation that both the statistics and the stories brought into light was amazing! That is: People are more ready than we think they are! We just have to match the Faith stage to the invitation method.Very, very informative stuff, and I am now listening to it again and using it as fuel for my preaching. I would love to see Thom S Rainer write another book outlining his survey forms, and instructing local churches how to utilise both the surveying process and the survey results in our own area. I am in semi-rural Australia, and would like to graph my own town/city. Seriously! I cannot see why this has only scored a 4 star rating so far - this book is transformational, my congregation are sitting there wide-eyed!